Lincoln and Douglass by Nikki Giovanni, illustrated by Bryan Collier (Henry Holt and Co., 2008). A glimpse into the unusual relationship between two American leaders. Frederick Douglass was born a slave but escaped in 1838 and became one of the central figures in the American abolitionist movement. 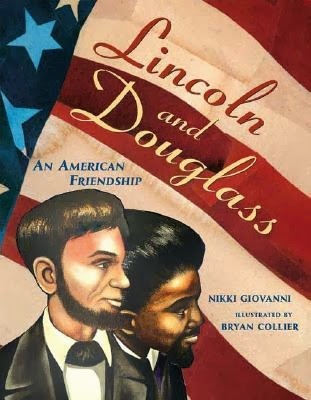 He and Lincoln shared similar views on slavery, freedom, equality and worked together to achieve a common goal.